We invite you to explore authentic tastes of Puerto Rican cuisine at LA COSINITA LATINA. Founded in 2014, we have been serving the West Palm Beach area. We are particularly famous for our top quality food and service. Count on us to enjoy a dining experience that we believe you really deserve. Puerto Rican cuisine is one-of-a-kind blend of West African, Caribbean, Spanish and even American cuisine. Puerto Rican cooking is mainly a tantalizing blend of herbs, spices and other delicious seasonings such as cacao, nispero, apio, plaintains and yampee. The principal cooking style in Puerto Rico is commonly known as “Cocina Criolla”, which literally means Creole cooking. At LA COSINITA LATINA, we give you a real insight of Puerto Rican cooking. 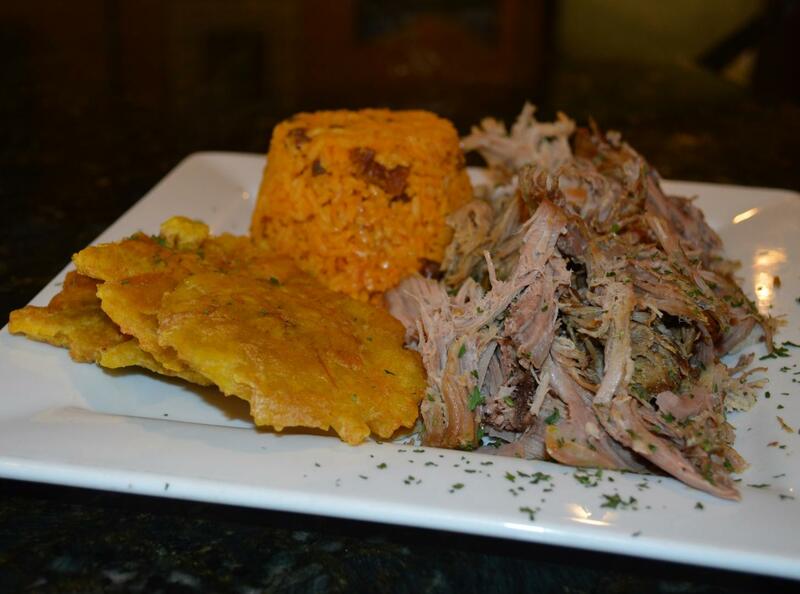 Come and experience our delicious, home-style Puerto Rican cuisine. Our variety of dishes include Mofongo, alcapurrial, arroz con gandules, mofongo-thumb shrimp, pasteles and pastelillos. Arroz con gandules is the signature dish of Puerto Rican culture. It is a combination of rice, pigeon peas and pork. A cherished culinary recipe in Puerto Rico, the pasteles typically consist of grated green banana, green plantain, eddoe, potato and tropical pumpkins. Come taste for yourself. Come relish our succulent delicacies including Mofongo, alcapurrial, arroz con gandules, pasteles, pastelillos and mofongo-thumb shrimp. Take a taste of authentic Puerto Rico.